The new government formed after the elections was more coherent. However, the new executive contained five individuals without any significant political roots and while the rest constituted individuals loyal to the President, unlike the first executive formed in 2017, they also represented constituencies with little national standing. The President successfully removed from the executive the old guard who were virtually parked at the ZANU-PF Headquarters in Harare. 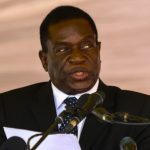 The Presidential team, is tiny constituting no more than a handful of individuals loyal to Mnangagwa. 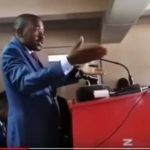 The forces ranged against him are formidable including a powerful MDC minority in Parliament which is implacably opposed to his rule and the disaffected elements in the ruling party that he has had to push aside in order to take power. In addition to these problems he has to deal with individuals who are ambitious and wish not only to retain their posts in government at all costs but to seek greater control over the affairs of the State. Intelligence had informed the President of the potential for nationwide disturbances and an effort to secure control over the State itself while he was out of the country. These include reforms in the way future elections will be conducted, changes in the media sector and most significantly changes in the security sector. The new structures are totally loyal to the new President. The thousands of retired military officers who, under Mugabe, were fully integrated into the civil service as a third force to ensure compliance with presidential orders and dictates, is being slowly unravelled. The Police and CIO have been completely restructured under new management. However, the President has not been able to significantly curb corruption and has turned to his new Minister of Finance who is not a politician but a well-respected economist, with a mandate to bring back a free market economy and fiscal and monetary stability. Mthuli Ncube has mapped out a programme of reform which involves, dealing with the fiscal deficit, liberalising imports and giving control over foreign exchange income to the individuals and companies involved. Reforms involving a reduction in the retention of foreign earnings by the Reserve Bank and a move away from the RBZ mantra of an exchange rate which puts the Bond note on a par with the US Dollar, to a system where 80 – 100% of all foreign earnings will be retained by the individuals and companies concerned and the Reserve Bank paying a market related exchange rate for the 1 billion dollars or so that are going to be swept into the RBZ accounts each year.